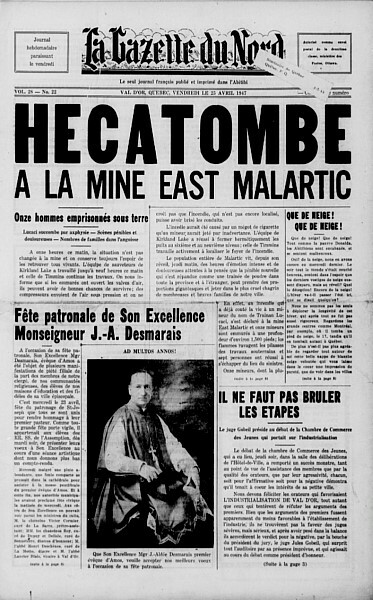 The front page of the regional weekly newspaper «La Gazette du Nord» on Friday, April 25, 1947 read: «Hecatomb at the East Malartic Mine». Front page of the weekly newspaper “La Gazette du Nord” announcing the tragedy that occurred at the East Malartic Mine on April 24, 1947. On April 24, 1947, at 7:00 am, a fire broke out at the mine’s 10th level, 1000 feet underground. Four miners managed to escape reaching the surface completely exhausted and in need of medical care. Then a first victim of asphyxiation was soon brought up. Unfortunately, eleven other miners perished in the smoke and flames. A monumental effort was immediately undertaken by rescue teams from neighbouring mines to extinguish the fire by pumping millions of gallons of water into the mine. Despite heroic efforts, the remaining miners were not saved. The entire town was devastated by the tragedy, which directly affected the lives of twelve surviving families. The first funeral took place on June 22, 1947 in the auditorium of the Catholic School, which was filled to capacity. Another funeral took place in July, after the last victims were found. A Royal Commission was organized by the Ministry of Mines of Quebec. Doctor Louis-Philippe Brousseau, a coroner, led the investigation. An accidental death verdict was handed down to an audience of more than 100 miners and relatives of the victims. Finally, a broader investigation into the mining industry as a whole was undertaken to prevent such a tragedy from happening elsewhere. In 1948, on the recommendation of the Commission the Mine Rescue Service, now a division of the CNESST (Commission des normes, de l’équité, de la santé et de la sécurité du travail), was created. 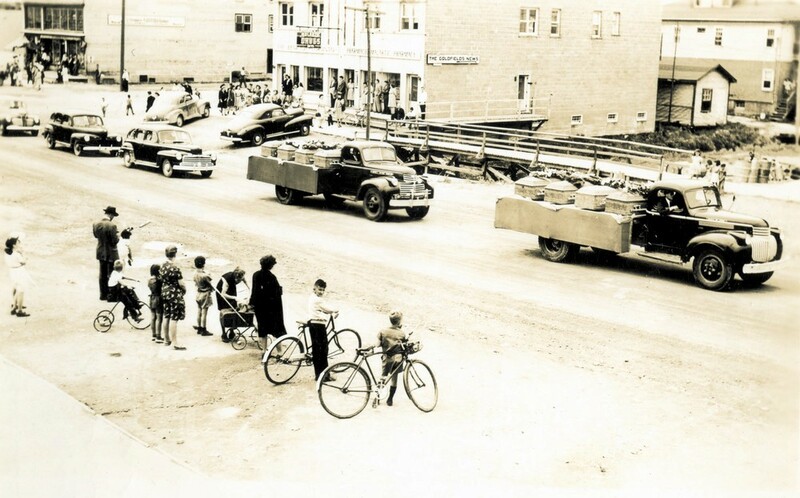 Funeral procession in the aftermath of the East Malartic mining tragedy. While still mourning the dark tragedy of April, another accident occurred at the East Malartic Mine. On October 7th, the cable hoisting the skip broke. The skip fell one thousand feet. Four men died in the accident. This brought the number of fatalities in this one mine to 16 in less than 6 months. The community was shaken by these tragedies that have forever marked Canadian mining history. On tour in the region during the events, country singer Paul Brunelle wrote a song about the tragedy: “La complainte des mineurs” (The Miners Complaint). In 2012, Gilles Massicotte presented a revised edition of his historical novel East-Malartic, 1947 originally published in 2002. The book highlights the events based on historical facts and testimonies from affected families. Finally, in 2011, a monument in memory of the victims was dedicated on the site of Musée minéralogique de l’Abitibi-Témiscamingue, in Malartic. 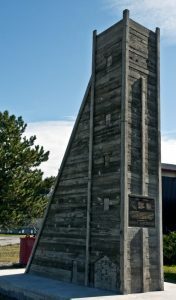 Memorial: East Malartic Mine Tragedy.